To say he's been through a lot since March is a huge understatement. I haven't shared about this because I want to protect his story, it's his - not mine to tell. But he told me today I should share as we talked and talked about this road for our family. Aiden was diagnosed with a rare autoimmune in March and the road we have walked (still walking) has been very long. Before this I didn't really understand what something like this looked like but now I know. There is a face to this story, a life. We see him living it. To watch our sweet boy who is everything to us suffer the way he has/is has broken our hearts. We currently have him under the care of our pediatrician, a GI doctor, a nephrologist and our holistic doctor to approach things from all different angles. All different approaches to medicine. Honestly all working together to piece the puzzle together . We also have adopted a different diet for him and have removed as many toxins from his everyday life as we can. It's crazy because (just like my miscarriage story, link here) if I hadn't walked into this community with oils and natural living that I am in now, I would have NEVER known about root causes, I would have never known about advocating on his behalf...there are things that were avoided because of all of the knowledge we had gained. There are ways we can support him that have blessed us more than words can say. I felt a pull to share in hopes to bring light to these stories. to bring hope as we find more and more answers. and as we use various things to support his little body in every way we can. Lord use this in some way. "As you might be aware, Aiden has been out of school for the past 3 weeks, with a disorder that causes inflammation and bleeding in the small blood vessels in your skin, joints, intestines and kidneys. 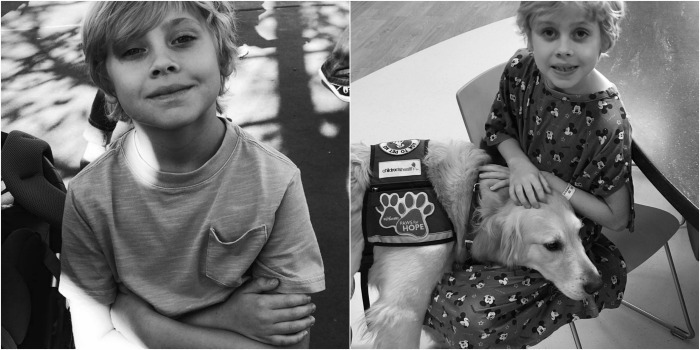 For Aiden, he is experiencing very severe abdominal pain, aching in the joints (arthritic-like), and severe rashes occur on occasion. There is no "cure" or antibiotic that can resolve the situation; only time. The length of time for recovery is variable, so this has turned into an exercise in pain management and supporting the immune system. Hard to imagine the challenge of seeing your child in severe pain and trying to balance the decisions. Tough position to be in as a parent. We had the opportunity to go over to the Wiegand's home and pray with them last night, along with other friends/family, for Aiden's immediate and long-term needs. Frankly, I had no idea what he is going thru and the toll it is taking on Chris and Casey, and wanted to share my understanding so you and your families can continue to pray for the Wiegands. When we were there, we all gathered in the living room with Aiden laying on the couch. 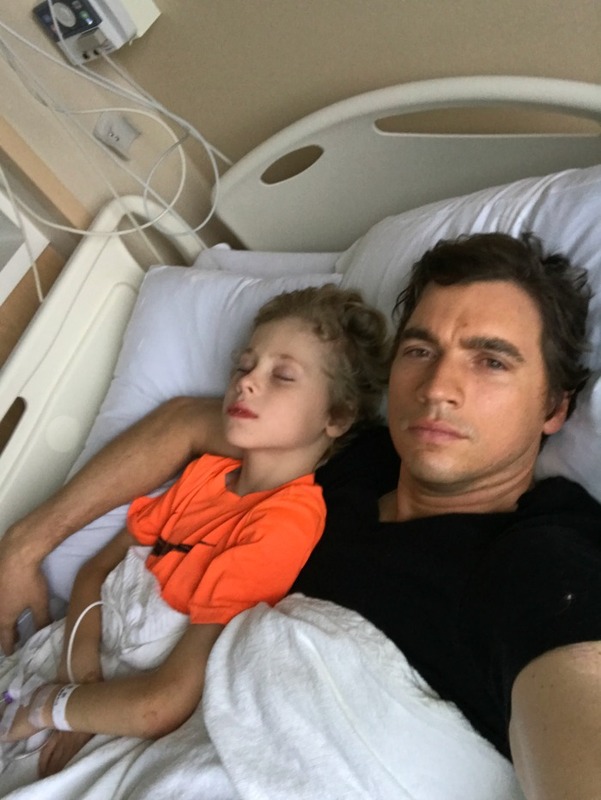 To see Aiden in his current condition is heartbreaking. The jovial, talkative, dinosaur-loving young boy we have all come to know and love was sullen, drained, and just quiet and curled up under a blanket on the couch. Chris and Casey got us up to speed on everything, and then we went around the room praying to God for Aiden's healing. To hear the hearts of God's people crying (literally) out for Aiden was moving, especially to hear Chris's heart. The timing and duration of the pain is not predictable which has taken a toll on all of them. We spoke to Chris at length and he is approaching all of this with amazing faith and wrestling with God in an honorable manner. He is broken over this as you might imagine and is fully surrendering this to God's will, while obviously praying for Aiden's full healing and relief of pain." One of my dearest friends wrote a post about her walk with her autoimmune and soooo many things hit home ( her post here). Just like with my miscarriages we seek answers for the root causes. Food changes, medicine, supplements.... all working together on his behalf. There was a night in March where Chris and I, Chris brother, my dad and some men from our church prayed over Aiden and literally wept over him. It was a powerful night and something that I thought- wow I'm going to choose to focus on the ways this night is impacting our boy. Our sweet guy has been so courageous and precious. Everything about his tender, sweet spirit is such a treasure and a gift to all who know him. We won't stop advocating on his behalf. His life looks different today, our life looks different. If you walk with an autoimmune, if you walk with a chronic illness, if you wake up every day and you also are a face to a number.... I see you. Aiden, who you are has changed my life forever. You're a light, you're kind and tender and so so special. Ive never known anyone like you. Your precious heart is one in a million. I have had this song on repeat this week....Lord, I trust you with my world. He is yours before he is mine. The moment my eyes met his for the first time my life forever changed. I would take all of his pain if I could. Lord, I don't understand, but I trust you.